In a surprise tweet from Nintendo the latest Feh channel presentation has gone live for Fire Emblem Heroes. We were given details on the games 2nd Anniversary Celebration, future game updates, and more! The 2nd Anniversary festivity’s kick off later today with a whole bunch of different events! Read on below for official details. Everyday starting today until February 12th, a different Daily Summoning Event will occur. Do you spot your favorite hero amongst the lineup? Starting later today, a Special Hero Summoning Event will take place that includes special Heroes released from previous years! Everyone will be able to pull once on this banner on any color orb for a guaranteed 5⭐️ Hero. On February 8th, another Special Hero Summoning Event will take place giving a free guaranteed 5⭐️ Hero. A new mini game available on the Fire Emblem Heroes site will open its doors one February 3rd. Your goal is to find heroes and then vote for your favorite! The top heroes will be included in a special anniversary Summoning event at a later date. As mentioned above, the winners of the Find & Vote Heroes mini-game will be included in a special Summoning Event! During this event, all orbs in the banner will appear gold and you’ll even be able to select one of the four to receive for free! 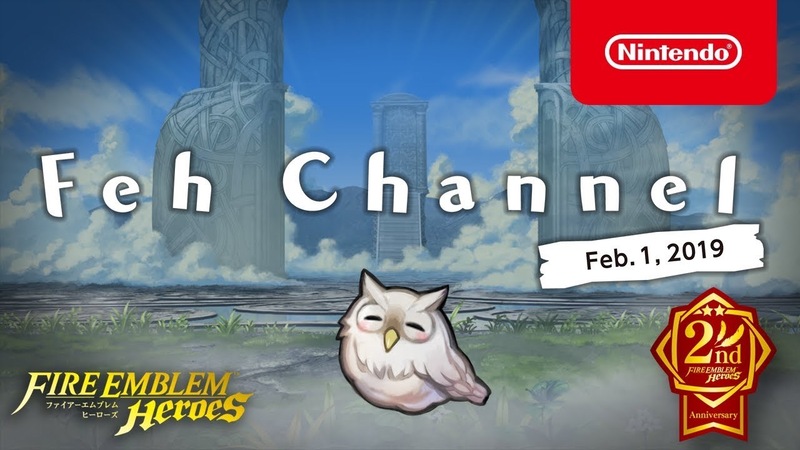 The Feh Channel wrapped up by giving us a look at future updates. Aether Raid Changes, Dragon Flowers that increase Hero stats, Hero merges, and more! Dragonflowers can be used 5 times depending on the Hero and come in 4 different types, each yielding different stat boosting affects. For full details definitely checkout the full presentation below.